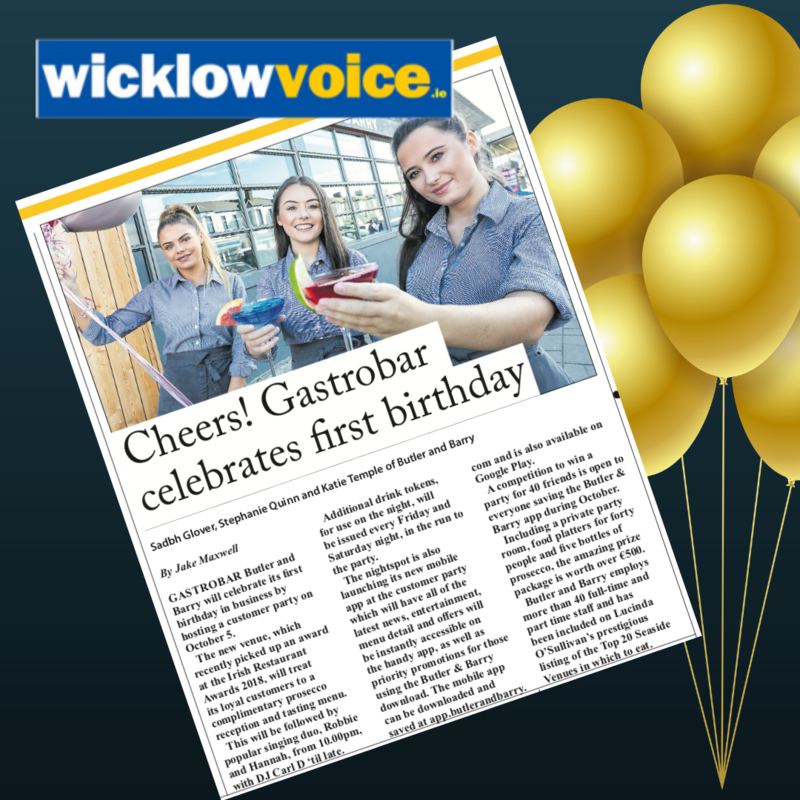 Celebrating a hugely successful first year in business, Bray gastro-bar and nightspot, Butler &Barry is hosting a customer party on Friday evening, 5th October. The stylish new venue, already a major winner in the Irish Restaurant Awards 2018, will treat its loyal customers to a complimentary prosecco reception and tasting menu, to get the party started! Entertainment is by popular singing duo, Robbie and Hannah, from 10.00pm, with DJ Carl D ‘til late. Additional drink tokens, for use on the night, will be issued every Friday and Saturday night, ahead of the party on October 5th. 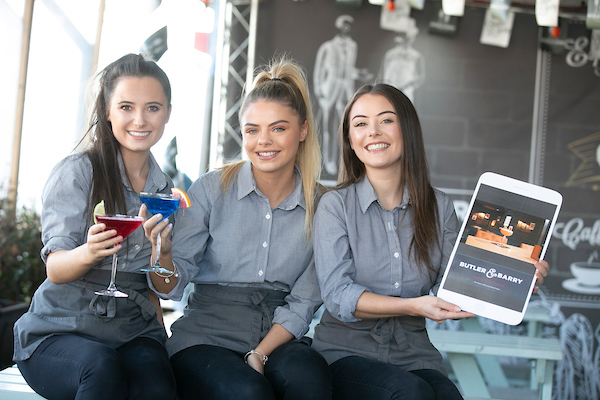 As well as an 'Appy Birthday celebration, the popular nightspot is officially launching its new mobile app at the customer party. All of the latest news, entertainment, menu detail and offers will be instantly accessible on the handy app, as well as priority promotions for those using theButler &Barry download. The mobile app can be downloaded and saved at app.butlerandbarry.com and is also available on GooglePlay. A competition to win a fabulous party for forty friends is open to everyone saving the Butler &Barry app during October. Including a private party room, food platters for forty people and five bottles of prosecco, the amazing prize package is worth over €500. A major employer in Bray, with over 40 full-time and part time staff, the seafront gastro-bar has already been included on Lucinda O’Sullivan’s prestigious listing of the Top 20 SeasideVenues in which to eat in Ireland! Investment in the gastro-bar and nightspot has totally invigorated the scenic seaside venue. An interior design specialist has created a welcoming comfortable space for socialising on many different levels, with a centrepiece bar, bright restaurant, private function room, and upstairs and downstairs covered heated beer gardens, all with amazing ocean views. Stand-out staging, dance floor and lighting design turns a gastro-hotspot into a major nightspot on weekends. Top entertainment features major bands and DJs, with regular appearances from the likes of Mack Fleetwood, Abbaesque, Smash Hits, and Pump up the Jam. Shane O’Farrell, owner of the award-winning venue, says the Butler & Barry team looks forward to welcoming new and old friends to the customer night. “We’ve had a fabulous first year and created a venue with something for everyone. 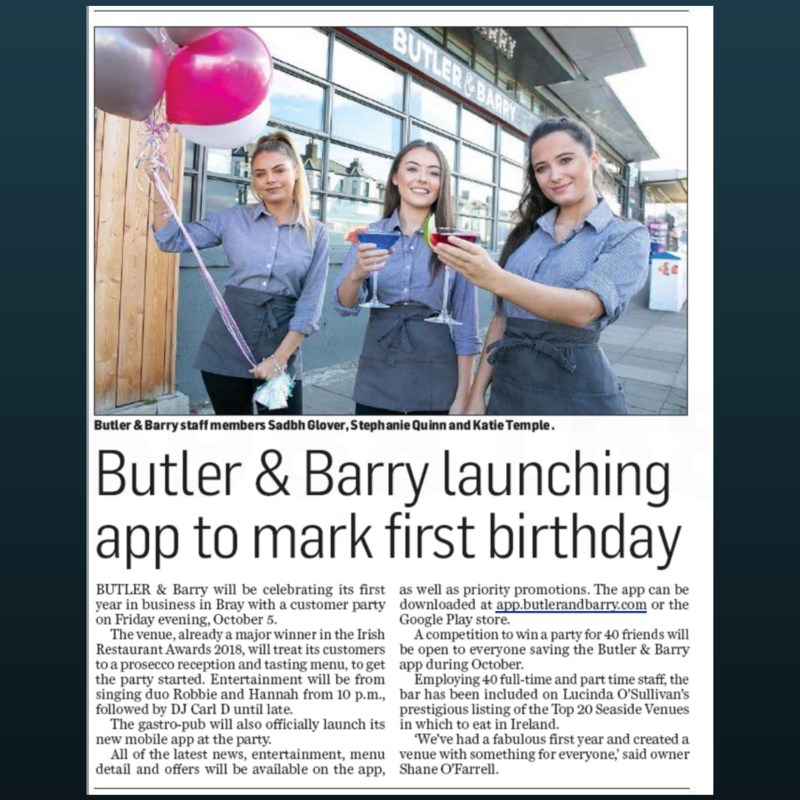 The new app will add real value for our customers and we’re delighted to be able to celebrate the Butler & Barry success with them”, the Bray businessman says. Models : Thanks to Butler and Barry Crew: Katie Temple, Sadbh Glover and Stephanie Quinn. Top ladies - pros!